Click the Image Below to Enter the Ferguson Tractor Parts Catalog. Ferguson Tractor parts. Massey Ferguson tractors are commonly known and referred to as “Ferguson or “Massey by their owners. Other common names are “Massey Harris” or “Agco”. However, the most common of these are Massey or Ferguson. Ferguson tractor parts are available for a wide range of tractors, at present a total of three hundred and seventy three (373) models of Ferguson tractors. These include the Colt, FE135, FE35, F40, Mustang, Pacer, Pony, Super 90, Super 95, TEA20, TED20, TEF20, TE20, TO20, TO30, TO35, 50 Massey Harris, and other models of tractors. 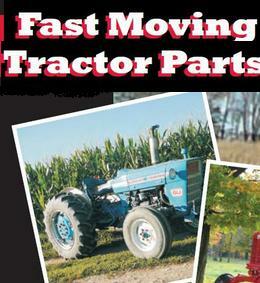 The list of compact Ferguson tractor parts covers approximately thirty one (31) models of tractors. Most of these tractors are powered by Perkins diesel engines, and a few by gasoline engines, including the continental engines. The 85 mm, 87 mm, 20C, and the 23 C are popular Ferguson tractor engines. Many variations of the Perkins engines for Ferguson tractor parts are the three (3), four (4) , and six (6) cylinder engines. These popular models are the Perkins 3144, 3152, 4192, 4203, 4107, 4212, 4236, 4318, 4248, 1004, 1006, and 6354 engines, with numerous variations for models, abbreviations, and applications. In many applications, the Perkins Ferguson tractor parts for the engines are supplied with the Valve Train Kit, as per normal maintenance for Perkins engines; the valve train is also changed upon overhaul of the engine. This value train kit will include inlet valves, exhaust valves, inlet valve guide, exhaust valve guide, inner springs, outer springs, pin retainers, inlet seals and outer seals. Many of the Perkins engines for Ferguson tractor parts have the complete cylinder head available for sale aftermarket, with and without valves. 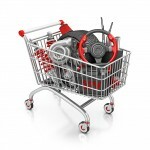 The fast wearing internal components of the engine are mostly stocked as aftermarket. This includes the rocker shafts and arms, push rod, tappet, and bushings. The gasket kits available comprises of a top gasket set, bottom gasket set, cylinder head set, rocker cover gasket set and a sump gasket. These kits include gaskets for the fuel pump, hydraulic pump, exhaust manifold, water pump, oil pumps, turbochargers (where used), oil inlet and outlets etc. Oil pumps for Ferguson tractor parts includes pumps that are turned by the gears, and some that are turned by extruding shafts with the engaging gears at the end. The exact application, will of course, depends on the serial number of the tractor, model, and other characteristics of the tractor.